Bitspeek, Lo-Fi from Sonic Charge. 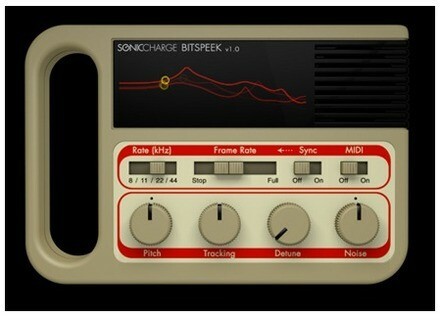 Sonic Charge has launched Bitspeek, an effect plug-in that will make you sound like a robot. Sonic Charge applied this technology to create a VST / AU effect plug-in that analyzes audio, extracts a number of parameters (including pitch, volume and formant data) and then resynthesizes the audio using a simple oscillator, noise and filter architecture. A number of playback parameters that adjusts the pitch and tonal quality of the sound as well as support for MIDI and a beat-synchronized "formant freezing effect" have been added. It costs $29. It's available for Windows and Mac OS X (Intel) in VST and AU effect plug-in formats. Sugar Bytes Updates Consequences & Thesys Sugar Bytes has updated Thesys and Consequence to version 1.5, which includes the release of 64-bit and stand-alone versions.